It's cool/frustrating that you can believe yourself to be so familiar with Japan and yet be unaware of some pretty basic terminology. Of course these gaps are frustrating, but I say this is "cool" because on the upside there are always these little tidbits to learn. One term that I only just learned relatively recently is 都道府県 (とどうふけん), which sounds like a Street Fighter move but refers to Japan's 47 prefectures. I guess when I was actually in Japan I didn't really watch much TV and newspapers were a little too intimidating, so I didn't often encounter words like this. "The prefectures of Japan are the country's 47 first-order subnational jurisdictions on a state or provincial level: one "metropolis" (都 to? ), Tokyo; one "circuit"/territory (道 dō? ), Hokkaido; two urban prefectures (府 fu? ), Osaka and Kyoto; and 43 other prefectures (県 ken?). Prefectures are governmental bodies larger than cities, towns, and villages." So while we just call them all prefectures in English, I think in Japanese there is some distinction. Foreign humor can be difficult to understand and process. I mean, physical comedy can have universal appeal if that's your thing, as there isn't really much of a language barrier there, but otherwise there can be huge lingual and cultural hurdles to overcome. J comedy has been a challenge for me for a while, but in recent years I've made progress. For starters, I'm a fan of よゐこ (Yowiko)'s Arino Shinya, the star of Game Center CX. Highly recommended if you like video games! There's also an older comedian named Shimura Ken who has done some pretty funny stuff throughout his career, and much of it can be found on YouTube. Although some of it may be a bit challenging depending on your level of Japanese, I think some of his skits are simple enough to be enjoyed regardless. I know YouTube videos are often here today and gone tomorrow, but for now here are some examples of his stuff. First, this is the first Shimura Ken skit that I saw, and as a former ALT it really hit home. I've since shown this to several Japanese people who attested to its accuracy. A good entry point! I think Shimura Ken is a great introduction to J comedy, though he may not be reflective of what's popular at the moment. Any comedians that you'd recommend? Japanese has a number of tricky elements that are overcome with time. One of which is the use of many different "counter" words. For those unfamiliar with the concept, it means that there are different words used for counting different types of objects. There are counters for all sorts of categories - small animals, large animals, birds, small objects, countries, bowls, flat objects, floors, etc. You just kind of pick them up as you go along. There are workarounds, kind of. Some people overapply a couple of more "general" counters to simplify conversation (and maybe a little out of laziness). Anyhow, I was reading an interesting article yesterday about the trend of convenience stores selling "premium" products. It was educational in several ways, but right now I just want to document the sighting of a counter that I was previously unfamiliar with: 斤. I imagine I must have seen this in the past and just not picked up on its meaning, but here we are. It's 「きん」- the counter for loaves! 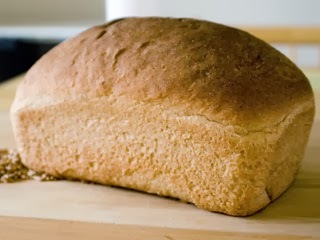 "Golden bread" is being sold for 250 yen per loaf. So my 上司 (supervisor) went back to Japan for the holidays. He's a pretty generous guy and always brings me back a bunch of お土産 (souvenirs). 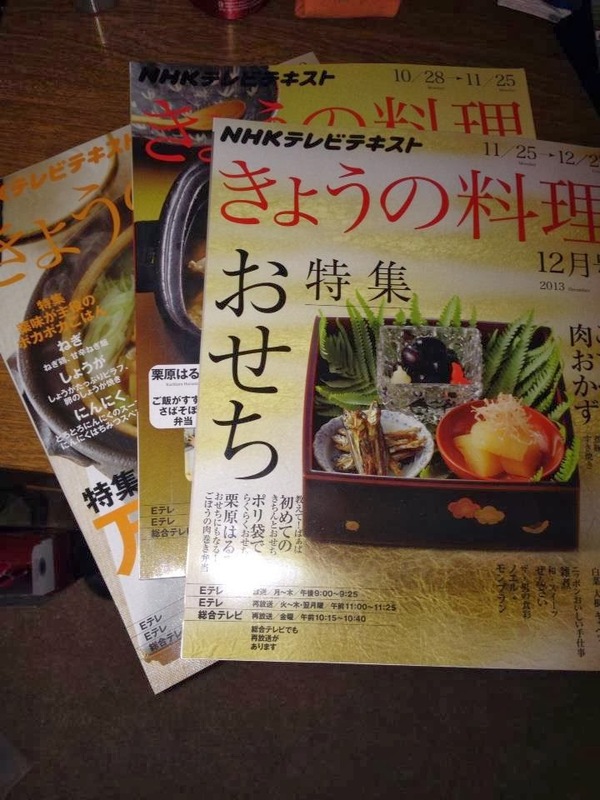 This time he got me some cooking magazines that I told him I used to buy occasionally when I lived over there. Considering my Cookpad venture, 'tis appropriate. I've been trying to cook more these days, and the Japanese influence is usually there. One recipe that caught my eye yesterday as I was skimming through was a 卵のしょうが焼き - "ginger fried eggs." It was pretty simple to make and is definitely a welcome addition to my expanding file of "things you can do with eggs." On top of shredded cabbage (or in this case lettuce), it was a different take on fried eggs that surprised me with how well the flavors went together. 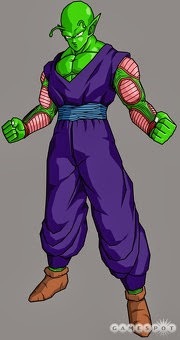 When I was a kid, I used to watch Dragon Ball Z and Sailor Moon and the like, along with a lot of the American cartoons that were running at the time. I think a lot of people my age did. Those were the first animes I was exposed to. And they were pretty Japanese, even if the characters' physical appearances belied that fact. Looking back, the first anime I remember being introduced to by a friend was one that didn't make it to American TV. 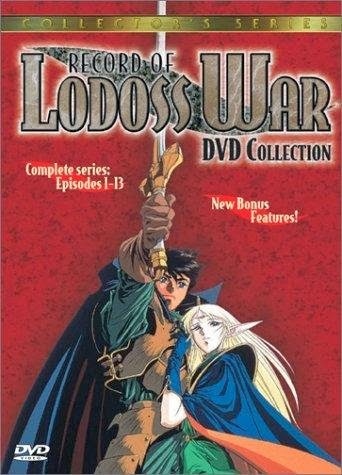 It was called Record of Lodoss War (ロードス島戦記), and it was right up my alley. It had kings and knights, magic, elves and dwarves, heroic quests, parties of adventurers. If you've ever played a traditional RPG, it was basically that in anime form. I remember thinking in retrospect that it was just like watching an animated Dungeons and Dragons campaign. Well, I wasn't too far off the mark. Apparently Record of Lodoss War came about in the 80's as the first example of a new literary genre - the replay. Replays are the retellings of gaming sessions, put into light novel format. So a bunch of gaming company employees were actually playing D&D and decided that their adventure was epic enough that its story had to be told. The series' most popular character, the elf Deedlit, was played by a scifi writer dude. Digging into the Wikipedia entry, it's quite interesting. Group SNE went on to develop a whole gaming RPG universe called Sword World. Lodoss itself was adapted into anime, manga, books, movies, etc. The world of Sword World, Forcelia, includes the island of Lodoss, plus the continents of Crystania and Alecrast, which have their own media spinoffs. I just recently decided to borrow my sister's copies of the Lodoss DVDs and give them a second watch (to see how much of the Japanese I can understand). The animation reminds me of the old American Bass and Rankin fantasy cartoons (Lord of the Rings, Flight of Dragons, the Last Unicorn), which were Japanese-animated. I wonder if perhaps there are some common artists there. Then again, maybe that's just the way anime looked back then. Incidentally, I also recently tried a rom for the old SNES Lodoss game, which never made it to foreign shores. About 5 minutes in I encountered a bug that froze the screen. Oh well. I know it's been a while, and I feel like I need to get back to it. Thus, behold this blog's new visage! I picked out a new premade template and Microsoft Painted the banner graphic myself. So what have I been up to? For starters, a friend of mine informed me that Japanese website Cookpad is currently hiring translators to move more user-submitted recipes to their English website. I, in my ignorance, didn't even know they had an English website. Well, long story short I applied and was hired. I sent over my paperwork last week, and so any day now I should have my translating powers enabled and will be Englifying J-recipes in my free time. I took the JLPT N1 in the beginning of December. Like I did with the N2, I was scouting it out...and it was tough. Mission accomplished. I do think that with some discipline and routine I may be able to pass it this year. I guess we'll see. I also reapplied to JET - this time for a CIR position. I think they'll give me a serious look - my experience is solid, and my Japanese is at a decent level. But I've heard that the competition in DC is tough, so fingers crossed. If I do get hired again, the plan right now is to go back, become hella good at Japanese (that's at least one step above JLPT N1), and then see where I'm at. With good enough language skills I may consider going into translation if the international relations and business fields don't seem right. JETAADC has also taken a lot of my time. I've been helping out with this and that as the volunteer chair since last March. It took me a year and change after coming back home to get involved with the JET alumni community. If you find yourself in a similar boat, I encourage you to participate. It really is a great way to make connections and reminisce about Japan. Even if you're not a former JET, feel free to look for events in your area. Our JETAADC events, for example, are often open to friends and family of JET and are sometimes co-hosted by other Japan-related organizations that are open to everyone. Oh, and I just started studying a little Korean. I don't intend to get serious with it until I'm more satisfied with my Japanese, but I'd like to at least get my foot in the door and learn some hangul and basic vocab. If anyone reading this has studied Korean, any tips or resource suggestions would be most welcome! That's it for now. I'll be back soon with some more (Japanually) substantive posts.